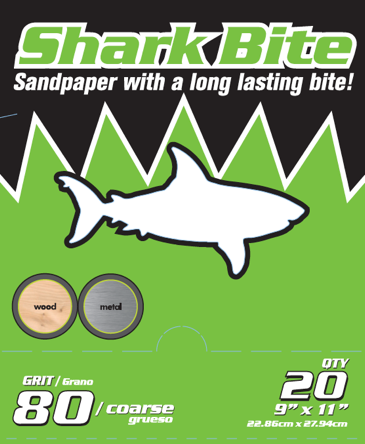 Shark Bite created a new line of abrasive products ranging from sandpaper for industrial users to do-it-yourselfers. These products ranged from sanding disks to sheets. A unique graphic was designed to catch the consumer’s eye and reinforce the toughness of the product.